Coal gangue is a kind of solid waste discharged from coal mining and coal washing. It is a kind of black-gray rock with low carbon content and harder than coal, and it has low calorific value. Coal gangue can be used for building materials such as gangue cement, lightweight aggregate of concrete, firebrick, etc. to produce chemical products such as crystalline aluminium chloride, water glass and so on. It can also be used as fuel for power generation. Coal gangue and inferior coal are used as fuel, which not only solves the problem of pollution and stacking of solid waste discharged from mining area, but also changes waste into treasure, reduces the cost of power consumption of enterprises, and at the same time, its ash and slag can be used for power generation. It can be directly used as raw materials for cement and hollow bricks to achieve good social and economic benefits, and promote the rolling development of non-coal industry and local building materials industry. 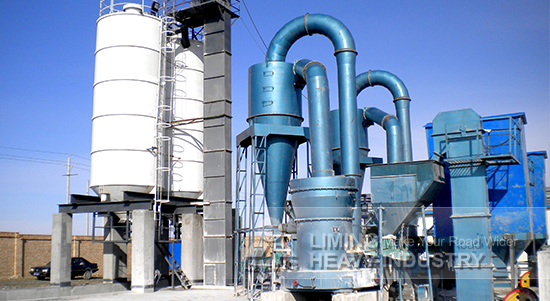 Liming Heavy Industry Raymond grinding machine is a three-dimensional structure with small floor area and strong system. It can form an independent production system from rough processing of raw materials to conveying to powder making and final packaging. The fineness of finished powder is uniform, and the pass-sieve rate is 99%. All the important parts are made of high-quality steel, and the wear-resistant parts are made of high-performance wear-resistant materials. The machine has high wear resistance and reliable operation.